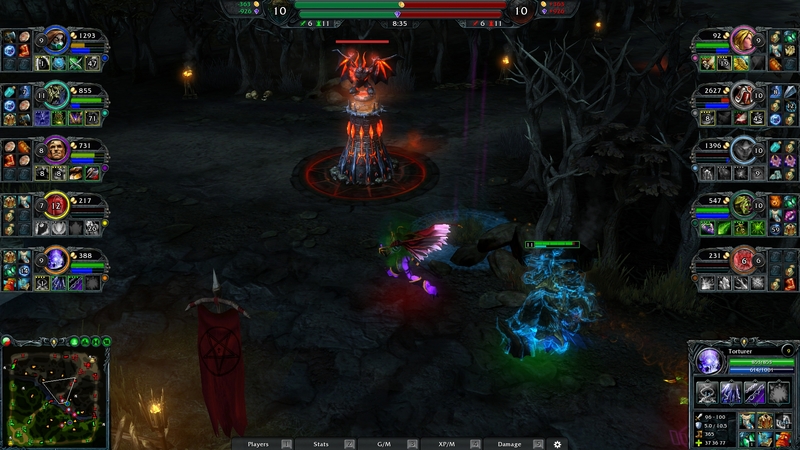 Heroes of Newerth pits two teams of players against each other: the Legion and the Hellbourne. Both teams are based at opposite corners of the map in their respective bases. Bases consist of buildings, creep spawn points, towers, a hero spawning pool, and a central structure. The goal of the game is to either destroy the central structure, world tree (Legion) or Sacrificial Stone (Hellborne), of the opposite base or force the other team to concede. Players achieve this by selecting heroes with unique skills to combat the other team.